Fashion website design and custom Wordpress theme development. Delivering ready to wear cotton bridal gowns at an affordable price point, Cotton Bride has that special dress for your next event. 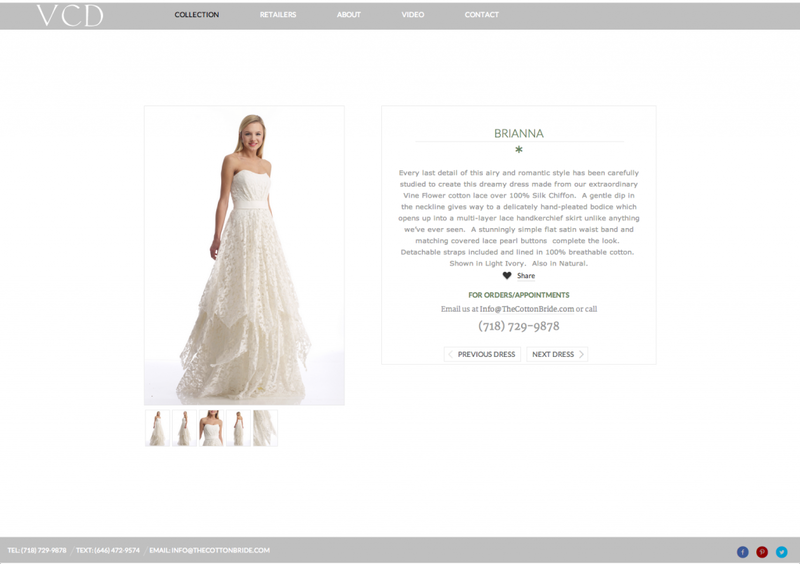 Digimix helped design and develop The Cotton Bride’s online wedding dress lookbook and site. The site was built on WordPress for its reliability and easy to use content management system. The two man team at The Cotton Bride can easily manage their wedding dress inventory and make site changes from the backend. The photo heavy site features high quality images of the wedding dresses, and serves as an online venue to pick your favorite dresses before visiting The Cotton Bride showroom in Long Island City, New York.